« Tro Tro Wants FanIce! Oh man, I would love a taste of the British bitter! Your “caskerator” looks pretty amazing. Good idea to move it all into the work room and leave your finished part for the visiting and sampling of the beers. 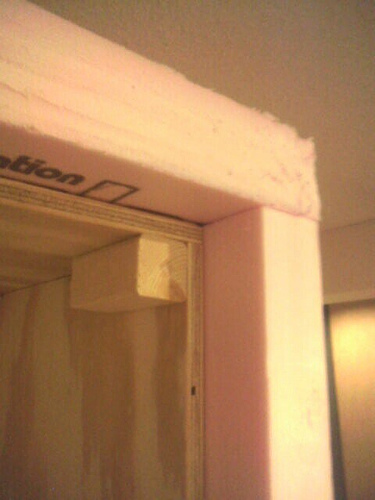 So, is the pink color from the insulating foam? Obviously should be the Caskenator. Wow, never in my wildest dreams–or nightmares (?) did I ever envision that freezer that used to hold food for a family of 6 winding up like this–sure are getting the use out of it, that’s for sure. Who says recycling doesn’t work? I love it!! I don’t fully get it, but it looks cool and I won’t hide that that goes a long way in my book. 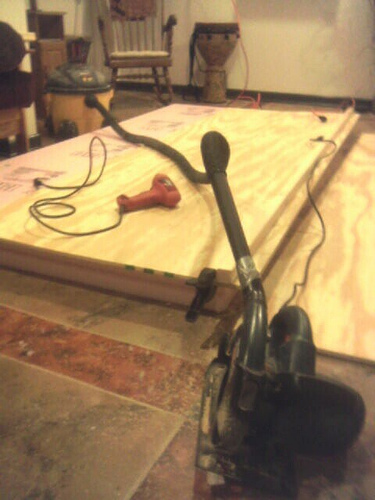 Call me over when you’ve figured out how to attach the billiard table to it. It could be called the “sloparator” perhaps? Found your site in a google search looking at what homebrewers are doing. I’m looking to build a fermentation chamber similar to your Caskerator and wanted to know how it is doing. It is able to maintain steady temperature and are there any changes you would make? Any insights would be greatly appreciated. It’s doing great! Temps are holding steady using the modified home thermostat, and the oxidation hasn’t been too aggressive using the “buffer tank” (see this thread at NB). I’m currently finishing an ESB that I put on tap before Christmas, and it’s STILL delicious. - Get as much distance below the keg to the faucet as you can. As the keg empties it ends up being a sloooow trickle, and a little extra height seems to make a difference (but not huge). I actually moved one tap onto the caskerator to test this and it seems to help. - Keep those lines clean! Since the beer is warmer and potentially around for a month, I’ve noticed some off flavors creeping into the lines after a while. Seems to resolve after cleaning and the kegged beer seems fine somehow? Just some junk in the lines. - Build a sub-chamber! 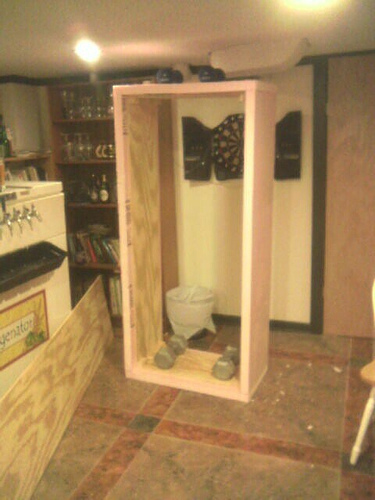 My next project is going to be to partition a carboy-sized box on the bottom and fit it with another fan and maybe a “flap” to be able to hit ale fermenting temps in the summer. This needs some testing, but it’s on the radar so keep an eye on the blog. - Plan your “door” better. I’m currently wedging the face on and off every time I want access to the inside. I had planned on cutting it a little smaller so it fit without wedging, but I haven’t been able to find magnetic tape in a layout I liked. I imagine something like they use on a refrigerator door would work nicely and come off without too much effort… I should look again.